We love surfing and surfboards but... traditional surf construction is delicate and the build process is toxic and unhealthy... we knew there had to be a better way. 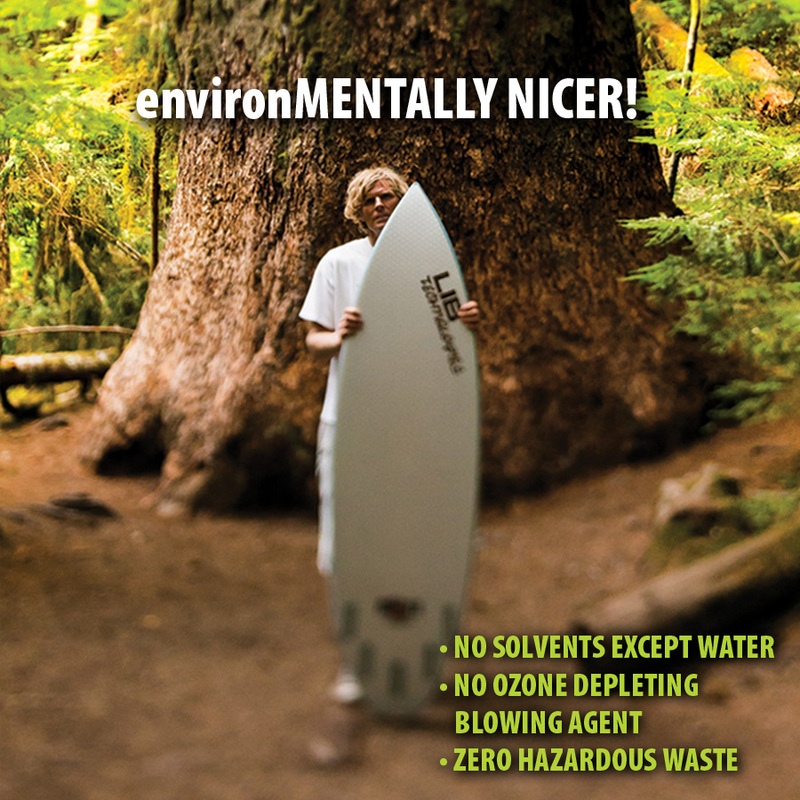 12 years ago, Mike Olson set out to make a stronger, longer lasting more environmentally friendly surfboard. He applied his 30 plus years of experience handcrafting and riding high performance composite surf, skate and snowboards to the task. In the process, he completely rewrote the book on surfboard construction. Each of the 31 pieces used to construct our ECO IMPACTO surfboards are new materials to the surf industry. 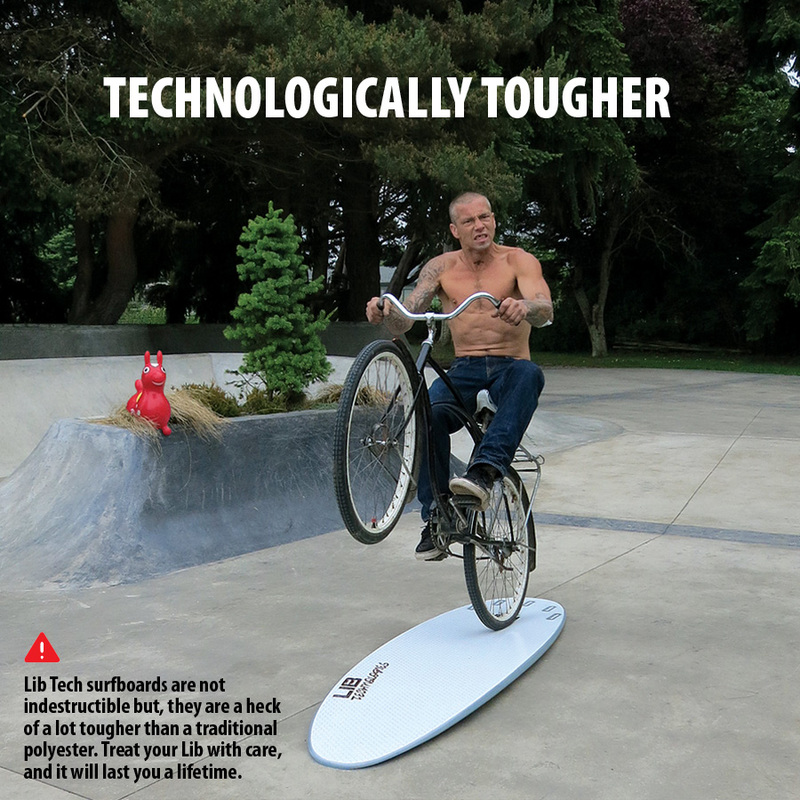 Our unique Thermo Pressure Fusion Process creates an amazingly durable, environmentally friendly, high performance surf structure that frees your mind and lifts your surfing to new heights. All our boards are handcrafted in the USA near Canada. The best performance characteristics of polyester: flex and dampness. The addition of magnesium fiber improves our overall impact resistance and the carbon composite stringer exactly matches the flex of a new high performance polyester and holds it for the life of the board. Smooth and poppy forever.